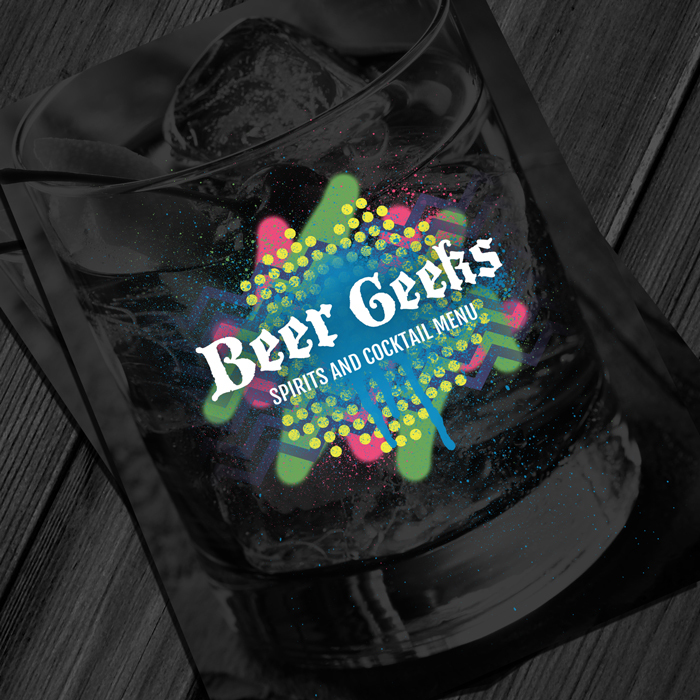 Beer Geeks is a well-known bar located in Northwest, Indiana and offers a wide variety of specialty craft beers and cocktails. 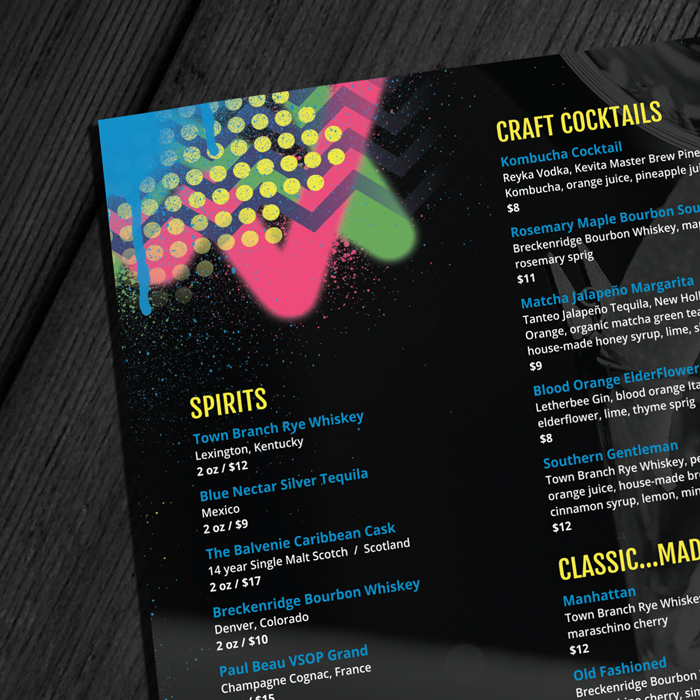 This crafty bar was in need of a new menu that would promote their newly created cocktail and spirit offerings. 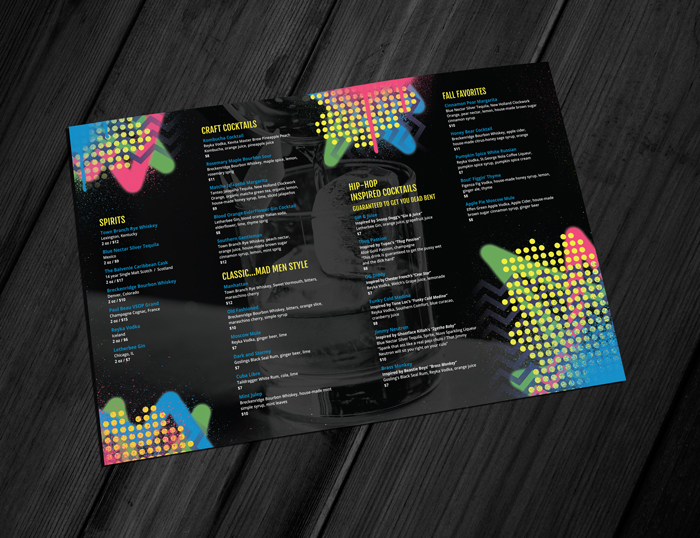 The geeks needed their new menu to complement their existing wall art and connect with their hipster clientele of beer enthusiasts. 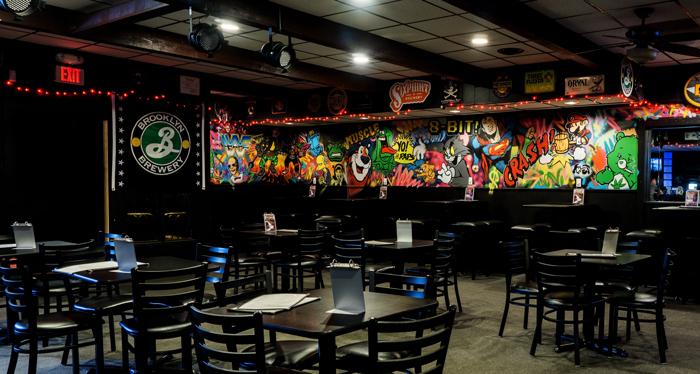 The pub is full of character and our inspiration was influenced by the colors, form, and composition of the wall art within the bar. 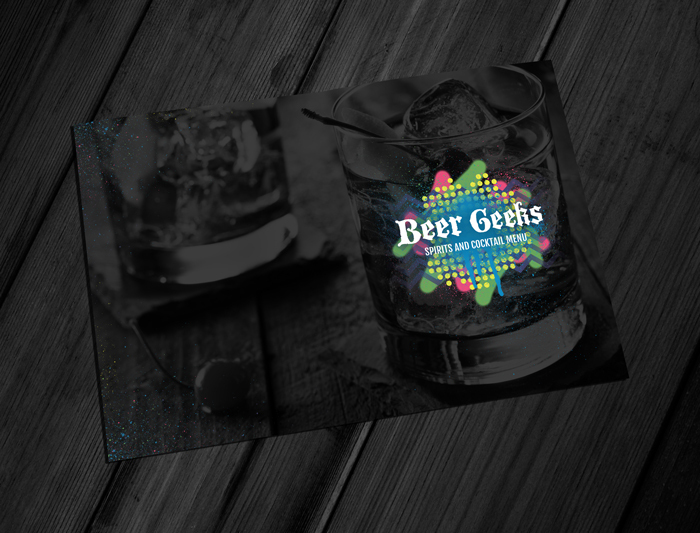 The artsy walls are directly reflected into the print work, which creates a captivating and exciting brand experience for anybody who visits Beer Geeks for a drink. Cheers!